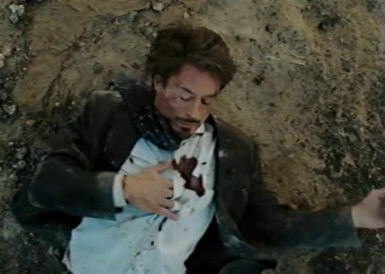 I could care less about Robert Downey Jr.’s personal reformation into an Action Hero and franchise flagbearer. He must be doing something right, though damned if I can find two movie critics who’ll agree on just what that is. 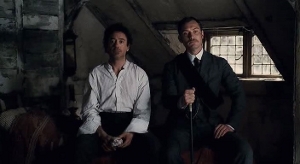 Most dismissed his turn as Sherlock Holmes, and dismissed this film as a bit of mindless fluff meant to tide us over until Iron Man 2. Read Rotten Tomatoes and you’ll find this film suffers from the usual consensus: it’s a bit of fun, sure, but in no sense civilized. And it ruined Sherlock Holmes. In another unexpectedly pleasant surprise, Iron Man turned out to be perhaps the strongest of this passing summer’s superhero movies. I say “perhaps” because, while it lacks The Dark Knight‘s length and The Incredible Hulk‘s emotional sequel-baggage, Iron Man never rises to anything other than the low-tide line of my expectations. Movies are like that these days. I’m spoiled. We’ve all become spoiled by the expectation of eye-gouging special effects. I’ve believed a man could fly all my life; seeing it no longer impresses me. Much.